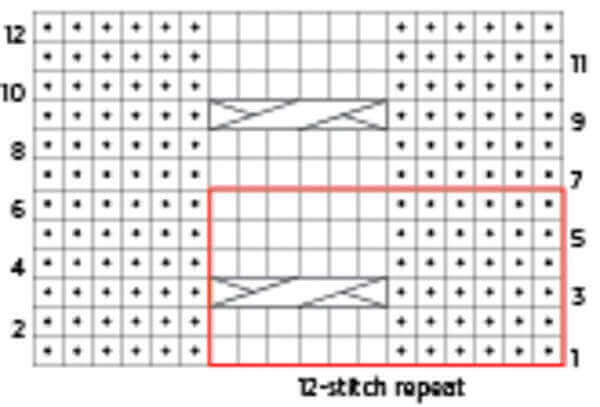 The Standard Rope Cables below are worked over 6 stitches as part of a 12-stitch repeat, featuring both left and right crossing designs. This pattern, along with the 3 others listed below, is brought to us by Story Publishing to celebrate the new release Cable Left, Cable Right by Judith Durant. Excerpted from Cable Left, Cable Right © 2016 by Judith Durant. Photo by Mars Vilaubi. Used with permission by Storey Publishing. Rope cables can cross to the left or to the right. They are made in exactly the same way, except where you hold the stitches on the cable needle. You’ll note that some of the patterns begin with a setup row worked on the wrong side. This is an option I sometimes employ, usually when transitioning from a ribbing. 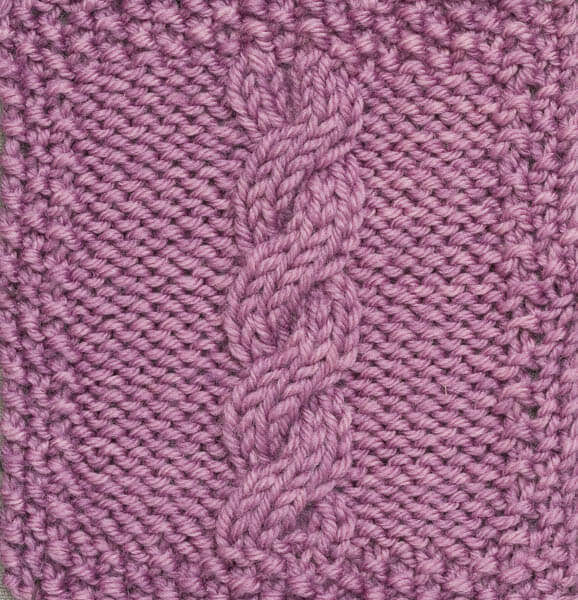 Here is a 6-stitch cable that crosses to the left, meaning that 3 stitches move from right to left over 3 other stitches. 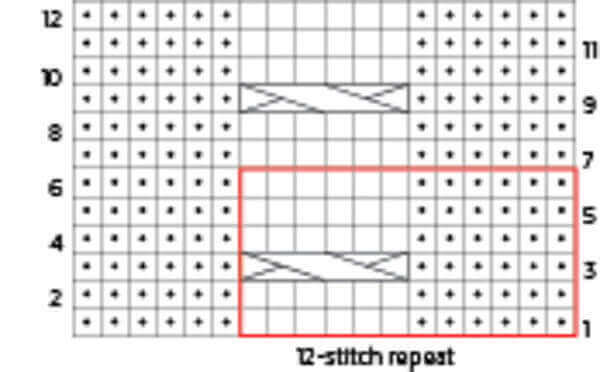 This means that the 3 stitches placed on the cable needle are held in front. This cable, 3 over 3 Left, is abbreviated 3/3L. 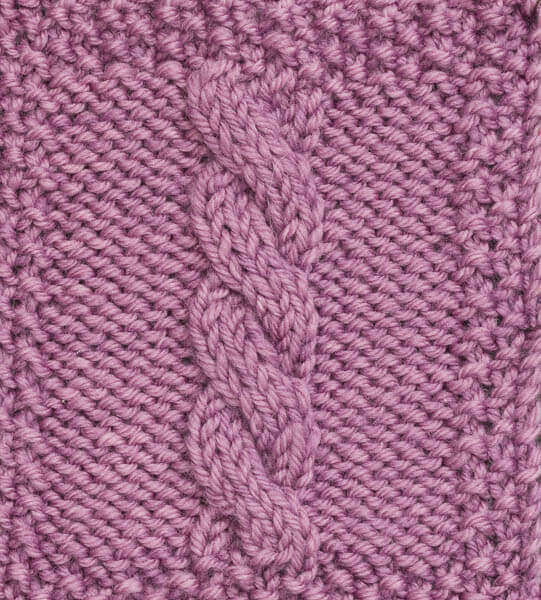 Here is a 6-stitch cable that crosses to the right, meaning that 3 stitches move from left to right over 3 other stitches. This means that the 3 stitches placed on the cable needle are held in back. This cable, 3 over 3 Right, is abbreviated 3/3R. If you have any concerns or think you may have encountered an error in this pattern, you can to [email protected] You can also find other errata here. I love anything cabled. Have not made a sweater yet, but am going to tackle that one day.